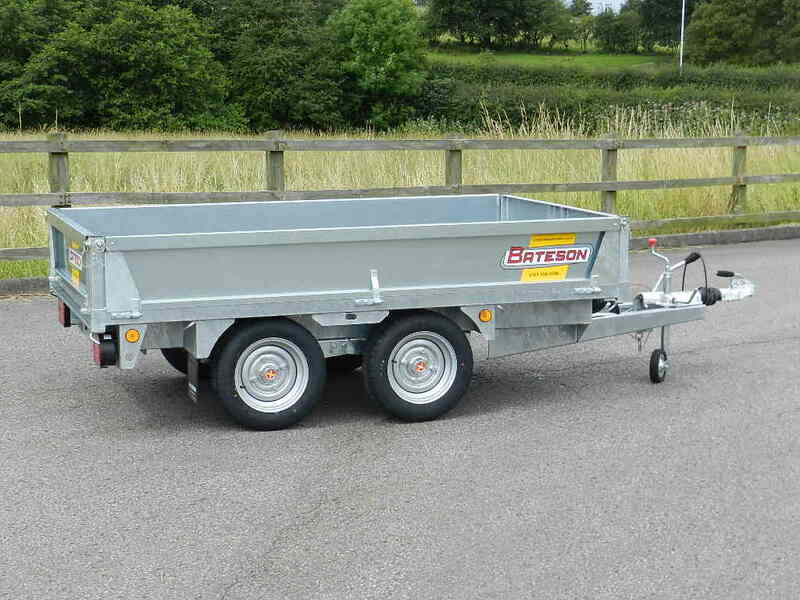 Platform trailers are manufactured in three weight ranges, 2 tons, 2.6 tons and 3.5 tons and body lengths from 2.5 metres to 5 metres and up to 7 metres as specials. 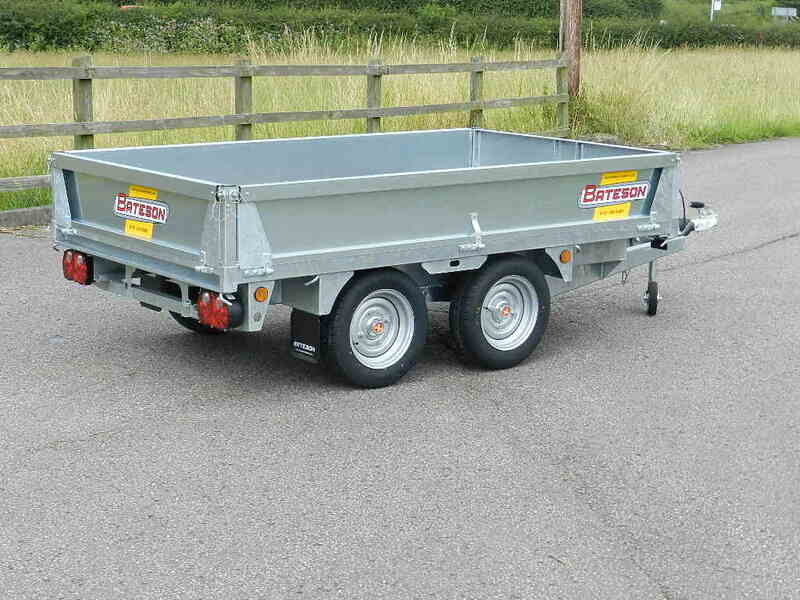 Standard widths are 1.5, 1.8 and 2 metres but can be manufactured to 2.1, 2.3 and up to a maximum of 2.5 metres wide. 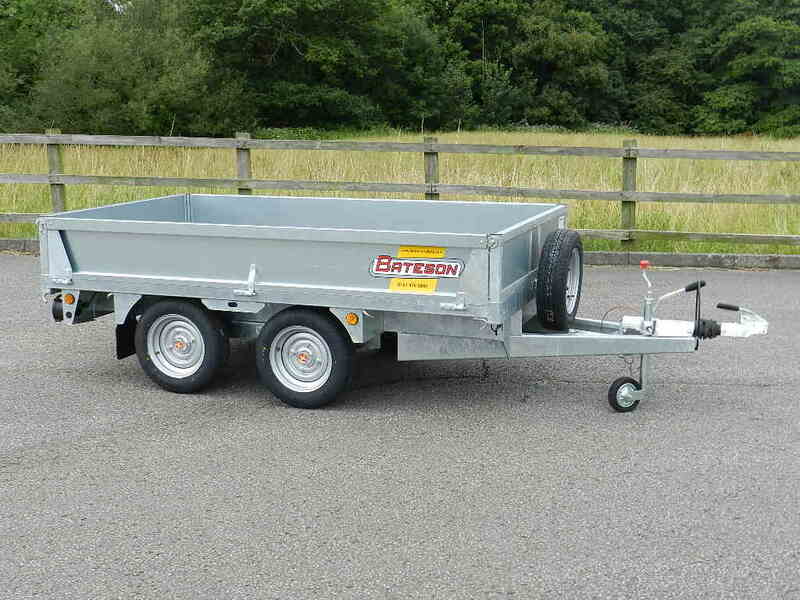 Trailers 4.3 metres and longer are available with a sloping beaver tail, or with full hydraulic tilt and ramp door. 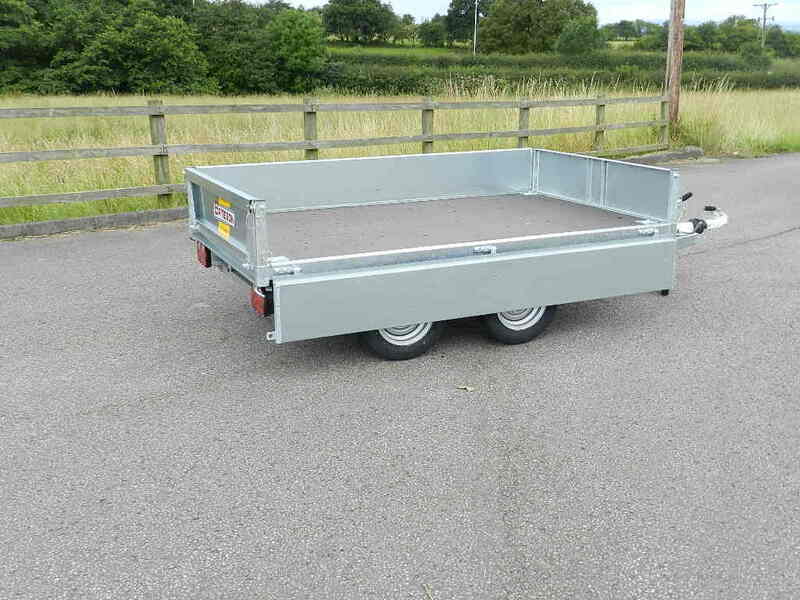 Trailer chassis are welded in one piece and hot dipped galvanised and have a phenol coated plywood floor with level side rails and sockets for a removable headboard, centre posts and rear corner posts. Standard specification includes full EU lighting including reversing lamps and front markers. Amber side marker lamps are fitted on 5 metre long trailers and larger. 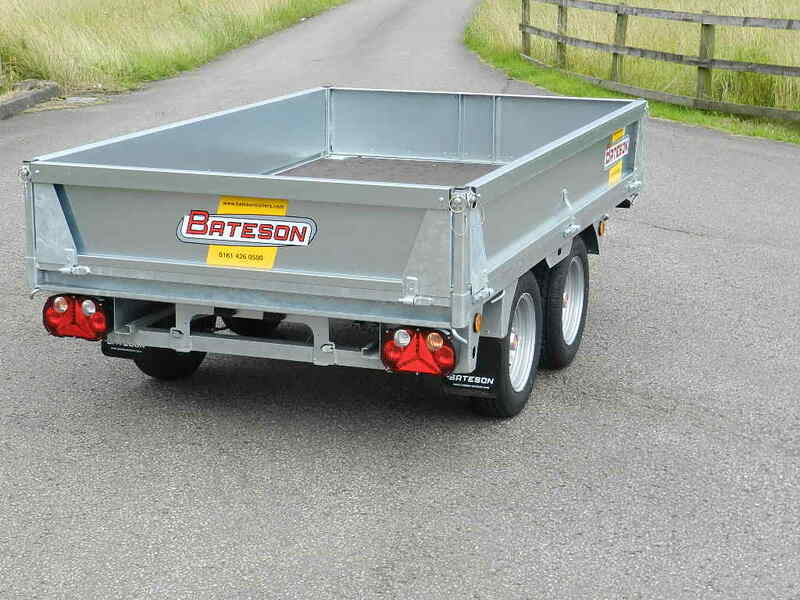 Trailers over 2.1 metres wide also have extra rear outline lights. Mudguards, mud flaps, spare wheel and a jockey wheel are also standard. 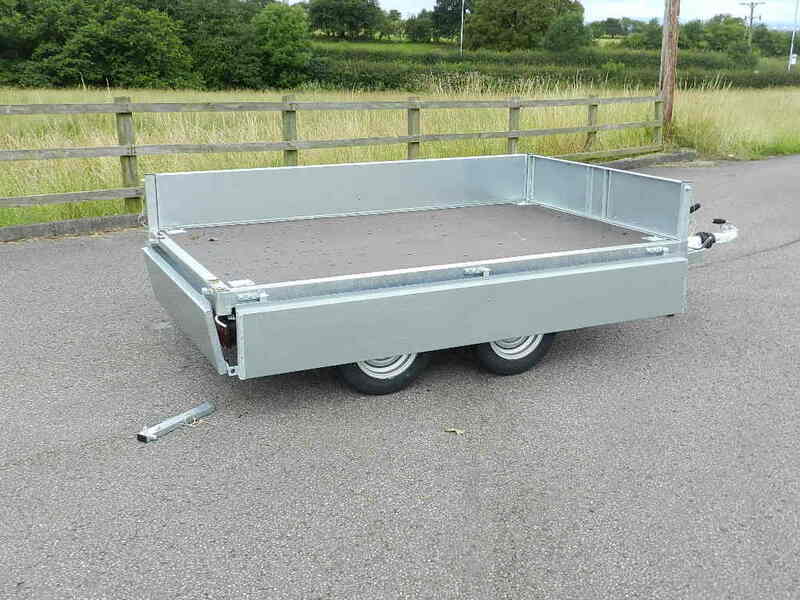 PF models are available in all the standard body sizes but with lower chassis and fitted with 195 x 10 wheels and tyres, allowing the lowest possible deck height of 550 mm. They are available with twin axles at 2600kg. or three axles at 3500kg. similar to our very successful PT hydraulic tilt models. All models can be fitted with optional equipment as listed, to suit your exact application at a very competitive price.